One of the first truly great movie stars of the early American film industry was a former ballerina who overcame an impoverished childhood in Poland and a bout with tuberculosis to become legendary and celebrated throughout the world. 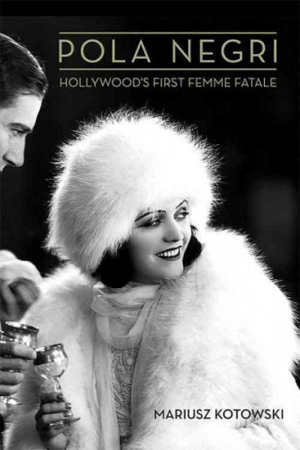 Pola Negri was born in 1897 in Vistula Land in present-day Poland. Later, after being accepted into the Imperial Ballet of Warsaw, she was diagnosed with tuberculosis, which ended her dancing career. She next turned to acting and worked in Europe with such heavy hitters as Ernst Lubitsch and Max Reinhardt. She arrived in the United States in 1922 and made her first American film, “Bella Donna.” Its success led to a lucrative contract at Paramount, where she began to establish herself as a major film personality. Negri rented a large, Tudor-style mansion and began exhibiting her flair for the exotic and eccentric. For example, she often was seen around Los Angeles in her chauffeur-driven limo, dressed in all white. As she later recalled, “I bought a limousine of pure white, trimmed with ivory and upholstered in white velvet. My chauffeur wore all-white uniforms on sunny days and all black when it rained. I used a white-fur lap rug and was usually seen with two white Russian wolf hounds.” She occasionally was seen strutting her stuff on the streets of Beverly Hills draped in either ermine or mink with her pet tiger in tow. 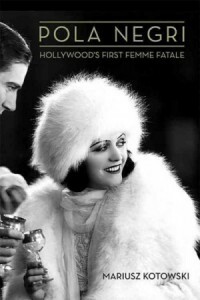 This crisply written, meticulously researched biography documents one of Hollywood’s most fascinating film stars, and also explores the link between Hollywood and European cinema during the interwar years.